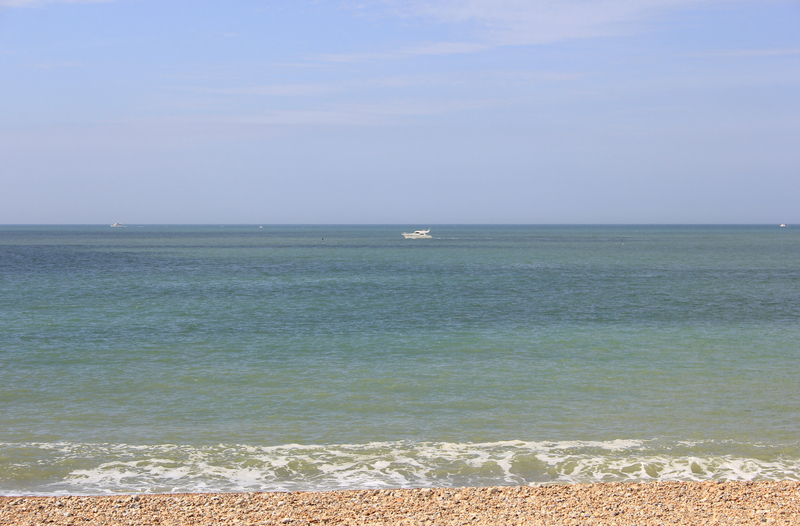 The sun shone down on the sea at Seaford, turning it an amazing shade of green. We were used to seeing a cold grey sea, or tidal flats tainted brown by mud. This was almost Mediterranean by comparison. 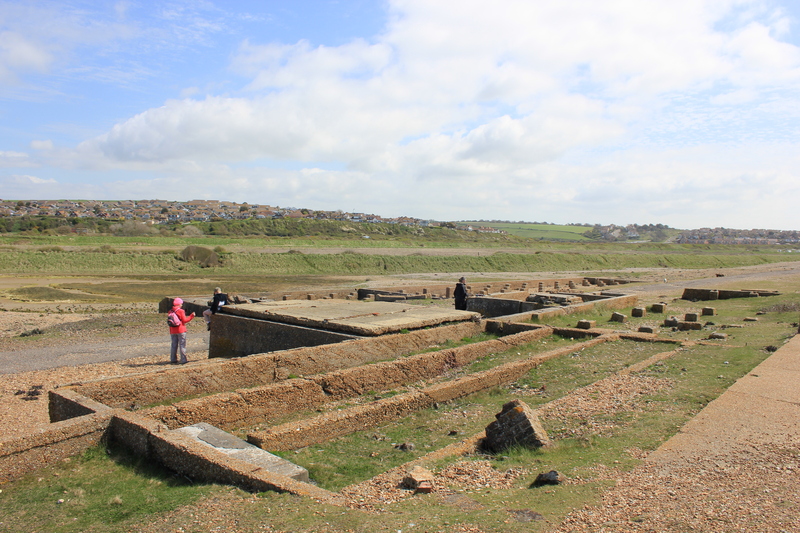 On the way out of Seaford, just before you reach the River Ouse, there is a lost village called Tide Mills. Tide Mills sprung up in the 18th Century, developed to house the workers at the mill which was also on site. At its peak the mill ground 3,500 pounds of flour every week. In around 1900 the mill ceased production, and by the mid 1930’s the village was declared unfit for habitation. The last residents were forcibly evicted in 1939, although during the Second World War the village was used to house Canadian soldiers stationed here. Today Tide Mills is rather different,and only hints at what was once here. Square boxes of concrete show the outline of buildings. Information boards have been put up around the area to explain what buildings they once were. In lesser weather it would be an eerie place. Aside from the concrete bases, there are some cobbled walls – such ornate ruins! We could have walked inland a bit, further in to the lost village. That would have been interesting. But that would be to leave our Coastal Path. 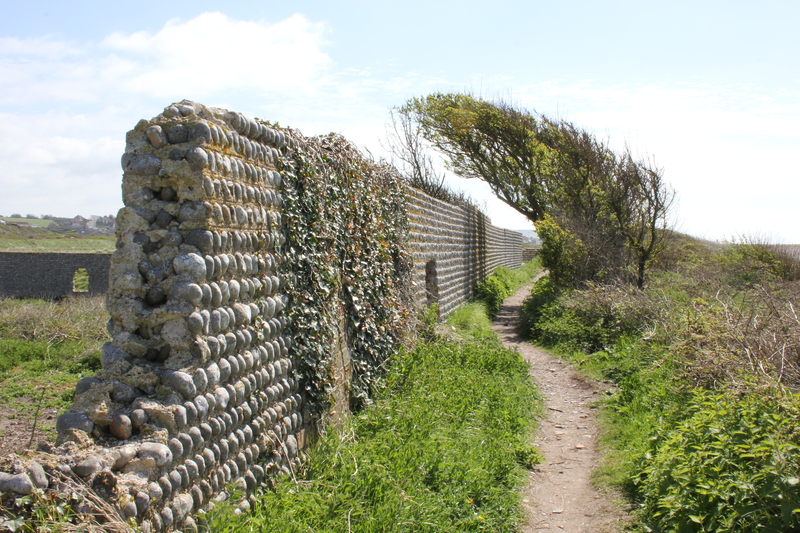 We come across all sorts of diversions and learnt quickly that if we wandered off-course to visit them all then we would never finish our walk. 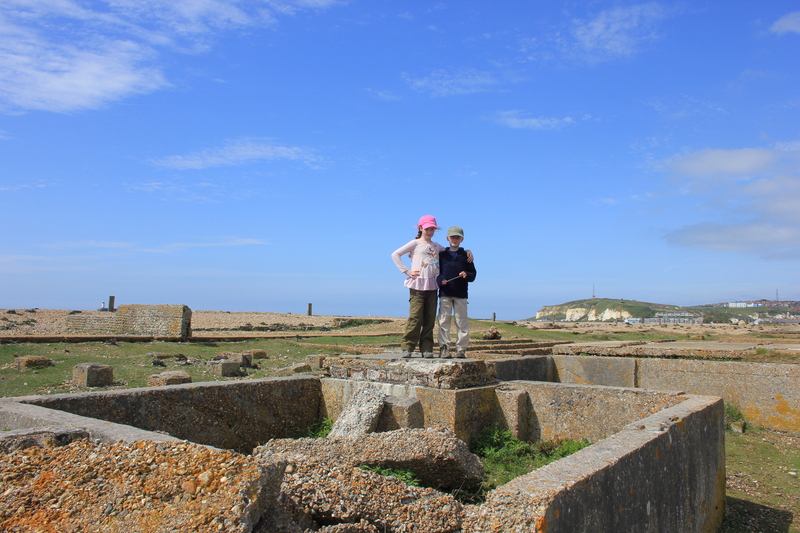 We left the ruins of Tide Mills and walked on towards the harbour arms of Newhaven. 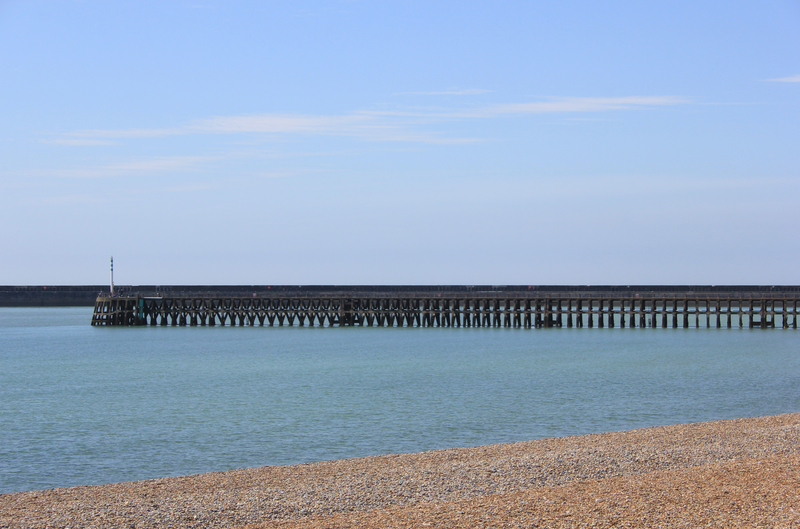 This entry was posted in East Sussex and tagged coast, newhaven, seaford, tide mills, travel, walking. Bookmark the permalink. Very interesting! It must be rather hard to stick to the walking plans at times! I have to agree, sticking to the path leaves me a feeling of what i may have missed, never the less we sure see a lot, what next its a fun mystery tour. Enjoy seeing your photo’s of places i passed. we are in agreement on the beachy head versus 7 sisters.